In 2013, I had to travel on business to Kelowna a city on Lake Okanagan in the Okanagan Valley in the southern interior of British Columbia. A trip to this region without Fly Fishing was unthinkable, so I set about researching the possibilities of a field trip to a fishing cabin in Canada. 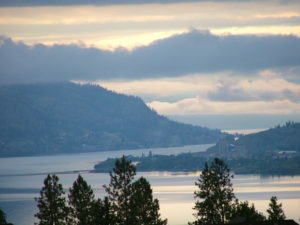 Lake Okanagan is a very large lake with many cities and towns. Not my sort of fishing place, but the areas surrounding it, just a forest wilderness, bejewelled by hidden lakes. I took my fly fishing equipment with me, all except the rod. Too many rods had been broken on airport conveyor belts, despite being encased in tubes. Nothing for it but to buy a rod in Kelowna. I did my research and chose a Redington five-piece travel rod in a very handy travel tube, which I duly ordered and picked up in Kelowna. Now fully equipped and accompanied by my wife, we drove up into the mountains. 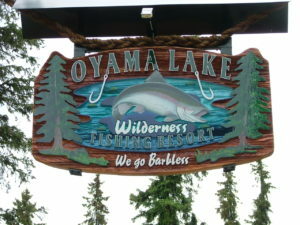 Getting to Oyama Lake Wilderness Resort was interesting, but not too difficult for us. However, we saw some Motor Caravans that were having quite a lot of difficulty getting up the steep gradients. When we reached the resort and were shown our fishing cabin Canada, we were not disappointed at all. Very much ‘back to nature’, no hot water, except in the two shower cubicles set in the woods. The Cabin was comfortable in that it actually had a bed , table and chairs and a small electric cooker, although the fire-pit outside was intended as the main cooking area. Toilet facilities were a short distance away in the woods and shared with a number of other cabins. But most important, each cabin had its own aluminium fishing boat with small outboard motor. I made the usual inquiries as to how the locals caught their fish. I found that they were using Fly or Spinning Rods, but trolled streamers or lures over the transom of the boat. To my mind, that is not ‘proper fishing’, so I stuck with my traditional methods. Dry fly at dusk and dawn or when I fish were rising was particularly effective. 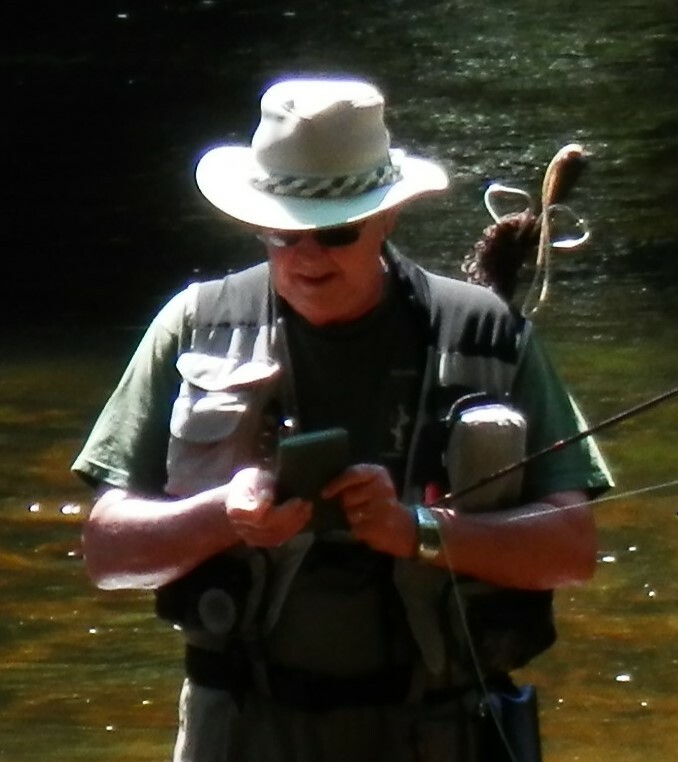 A fellow fisherman who arrived at the same time as we did, was bragging about the twelve fish he had caught on the troll. I didn’t like to tell him that traditional methods had produced even more fish! In total, we spent four days in that magic wilderness resort, fishing cabin Canada. The shower facilities were a joke and the comfort factor non-existent. But chopping logs for the fire-pit, lighting the fire ready for cooking the evening meal of freshly caught trout, whilst sipping a Jim Beam and coke, that is an experience, every Fly Fisherman should experience at least once!